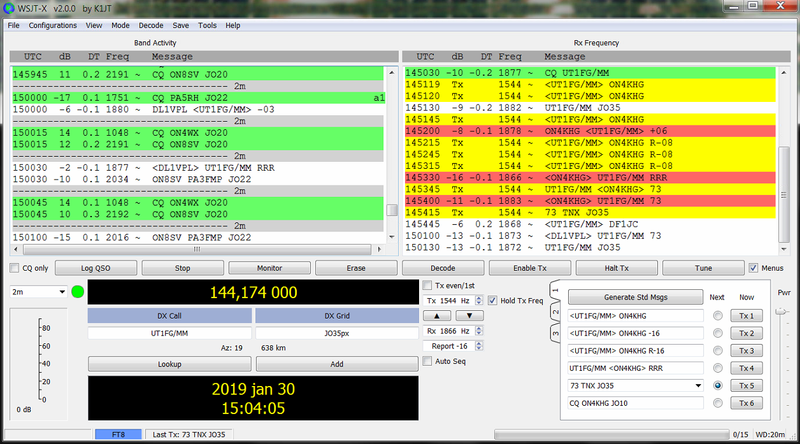 Yuri, UT1FG is often active as UT1FG/MM on 144 MHz. 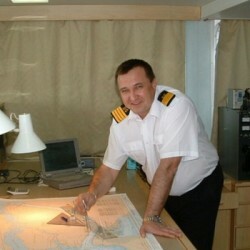 He operates from the ship “Goldeneye”, a bulk carrier sailing under Cyprus flag. On the QRZ.com page of Yuri, one can see the ship. 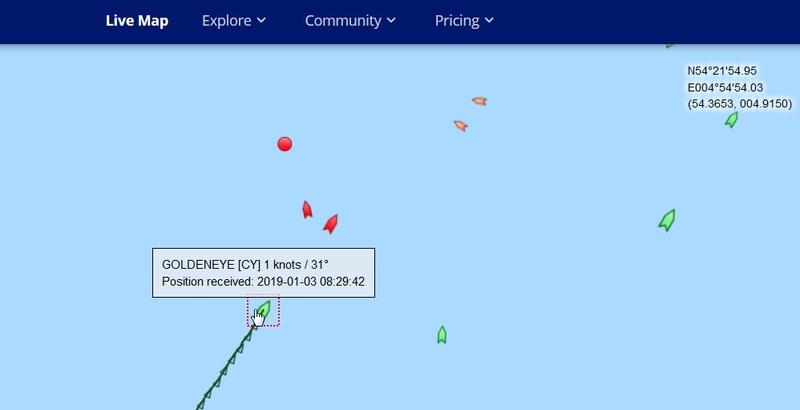 The Goldeneye has left San Lorenzo in Argentina on 8/12/2018 with Riga (Latvia) as destination. Yuri has been active during the travel from several “wet” squares on 144 MHz. I have been lucky enough to work him when he was in IN66, JO12, JO25 and JO36. Three of them were new #. The mode Yuri used was FT8. On likes FT8 or not is another discussion ! I wanted to know the full (6 digits) loactors where Yuri was when I worked him. 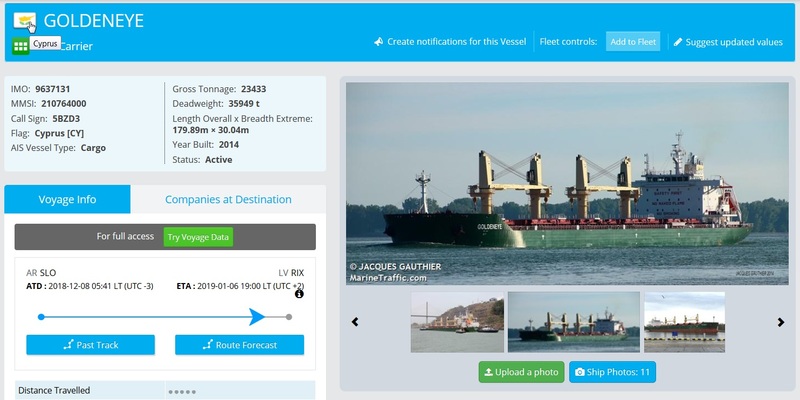 Provided the latitude / longitude position of the ship can be received by costal stations receiving AIS (Automatic Identification System) frames emitted by the boats (161.975 and 162.025 MHz), it is quite easy to derive the QRA locator. I describe here the way I proceeded. From there, you can see the latest postion of the ship, its past track and even its forecasted route. On the top right of the picture above, one can see the latitude and longitude of the ship, expressed both in DD and DMS. Feeding an online QRA locator calculator (e.g. www.giangrandi.ch) with these data and one get the QRA locator of the ship. In the present case, it was in JO24KH. Again, this is possible provided the ship is under the coverage of a costal AIS receiving station. Otherwise, satellite positioning of the ships is also possible but this is a paid service. Many thanks to Yuri for activating all these wet squares !